Similar stuff for N15 , N66U series. 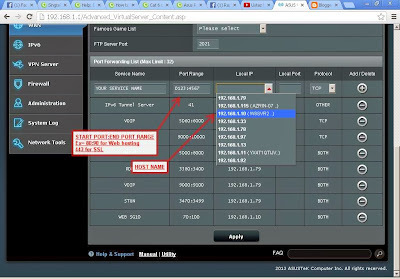 FOR STATIC IP BASED ONLY or if you are DDYNS. Not available for use if you are on dynamic on MyRepublic. 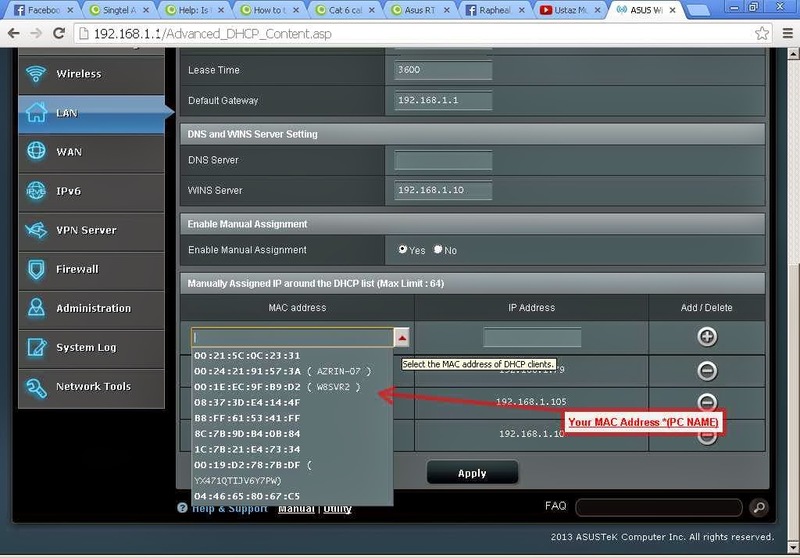 Please get the mac address of your router and email to CSO for your static IP. A OneTimeCharge of $50 applies ya. Have not tried AC66 or AC68U yet but here is how it goes. All these are based on router at 192.168.1.1 (DEFAULT), some are 10.0.0.1 or 192.168.0.1. Cannot use 172.16.0.1 as MR uses it as NAT. Drop down the MAC Address List. if you use different mapping, say port 80 incoming but at your internal is port 90 then, the local mapping is needed. usually not needed. I have my webhost on here. 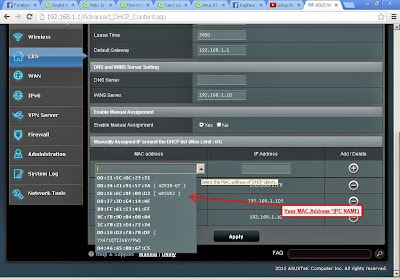 For rest of ISP.. you need to do some Dynamic IP arrangement/CNAME mapping.